Tadeusz Lempicki, the artist's 'society gadabout' husband. 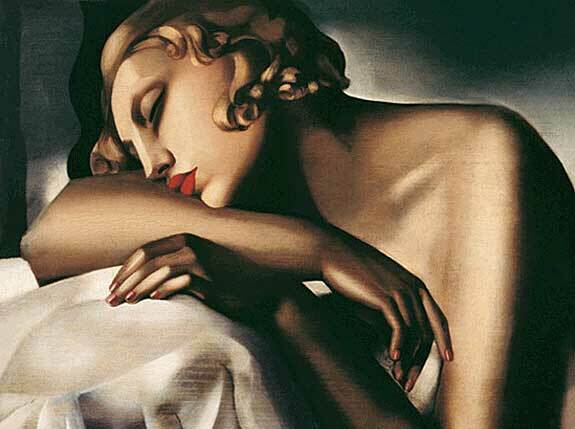 Tamara de Lempicka (1898 - 1980) was born in Warsaw, Poland. 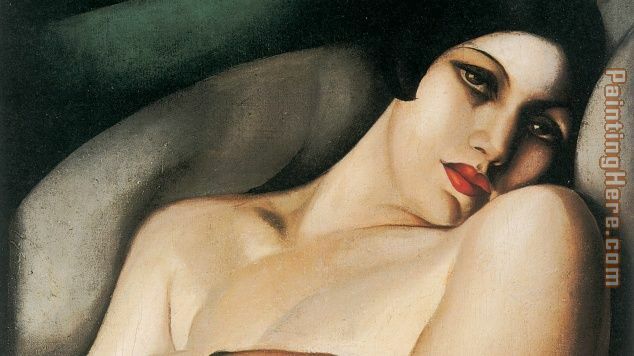 In 1912, she went to live in St. Petersburg with her grandmother when her parents divorced. At the age of fifteen, while at the opera, she spotted the man she would eventually marry - obviously a girl who knew her own mind. 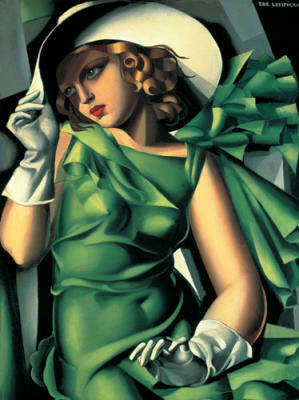 Tamara's bold and glamorous art deco style developed quickly (probably through economic necessity) after she'd given birth to her daughter Kizette. 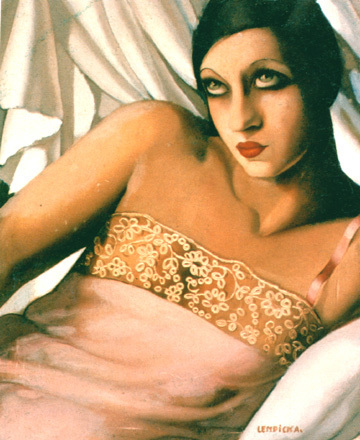 Influenced by cubism and the artists of the day, in 1925 she had her first major exhibition having painted 28 works in six months. The painter became a society sensation, earning huge fees for portraits of the rich and famous. 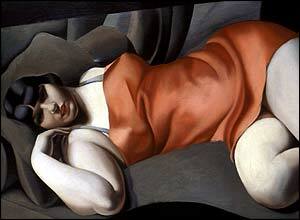 To read more about Tamara de Lempicka's tumultuous life and times, please use this link. 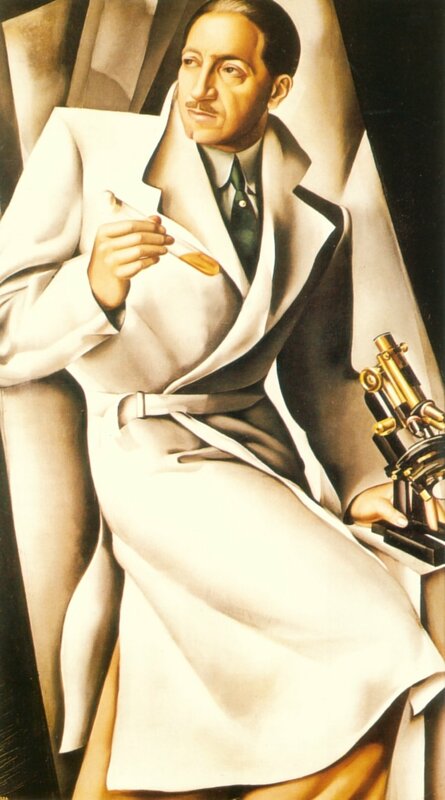 Tamara de Limpicka touching up her husband's portrait. Disclaimer: All the artwork and/or photos used in this post were culled from various sources on the internet purely for educational and aesthetic purposes. I own no copyright on the works nor do I claim to. I kind of like this artwork, the woman in the green dress, some of the others. And your write-up is spot-on and fun, as always. I love these paintings! Thanks for sharing. She definitely had an interesting life. I haven't seen a lot of these and I no idea about her personal life. Where's the oh-so-stylish biopic? Maybe it's the painting, but the husband seems a lot more malevolent than Mischa Auer! 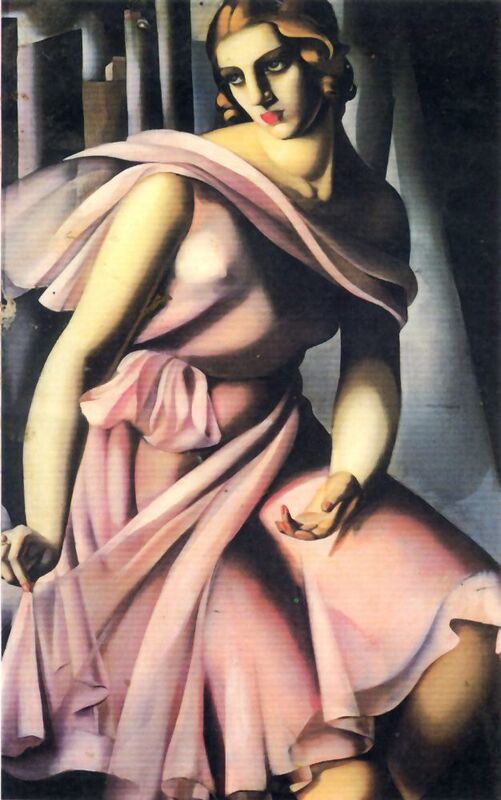 Hi Yvette, Now if I could just go back in a time machine, sitting for a Lempicka portrait would be a must. I like not just the style, but also the close-cropped compositions — I love them all! You're welcome, Michelle: Yes, she did have an interesting life. I'm amazed no one's turned it into a screenplay. It would make a fabulous movie. Lauren, maybe Mischa Auer is too sweet? Though I've seen him play conniving unpleasant - remember him AND THEN THERE WERE NONE? If I were making the story into a film (and why someone hasn't is beyond me) I'd cast: Marion Cotillard as Tamara and maybe Richard Armitage as Tadeusz. Or how about Johnny Depp?? I'll take a look, Dave. I think my library has it. Thanks.